On Saturday, May 19th, Four Quarter Theater presents RESISTANCE – a night of short play readings on a common theme. All plays directed by Kirby Mason. Join us for the #metooplays. 500 plays were submitted. 30 semi-finalists were selected. 10 will be presented at each reading, in May, June, and July. The final eight plays will be chosen to move forward for a fully-staged production Off-Broadway. 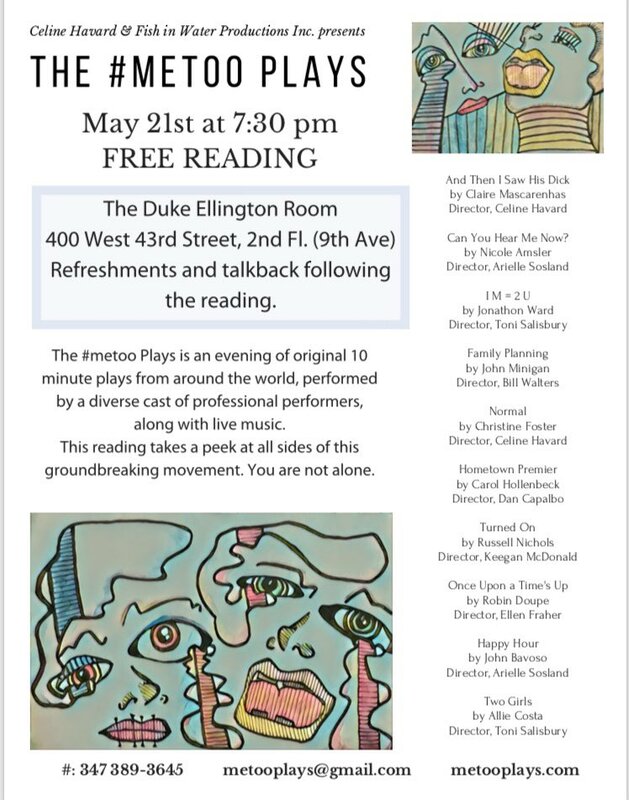 The reading on Monday, May 21st will include plays written by Claire Mascarenhas, Nicole Amsler, Jonathon Ward, John Minigan, Christine Foster, Carol Hollenbeck, Russell Nichols, Robin Doupe, John Bavoso, and Allie Costa. Duke Ellington Performing Space, 400 West 43rd, New York. To submit to the June issue of LADIES FIRST, email natalie.noplays@gmail.com before the end of the month. Send us your name, the name of your play, the name of the theatre producing your work, a sentence or two about the play, the where and when, and an image. Thank you to everyone who participated in this month’s LADIES FIRST newsletter.